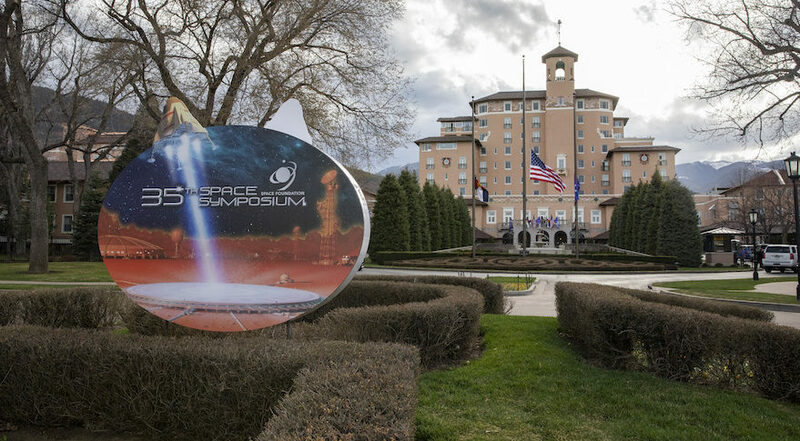 COLORADO SPRINGS — U.S. Vice President Mike Pence, the big draw at the 34th Space Symposium, won’t be delivering a keynote address at this year’s conference. However, the speech Pence gave two weeks ago at a meeting of the National Space Council is sure to reverberate across the four days of briefings and panel discussions on tap for the 35th Space Symposium here April 8-11. NASA Administrator Jim Bridenstine, who has made repeated trips to Capitol Hill since Pence’s speech to field questions about how NASA intends to implement the vice president’s directive, is scheduled to speak here Tuesday morning. Among the questions NASA still needs to clearly address: What, exactly, is the plan? How much will it cost to achieve a landing by 2024? What are the new opportunities for companies, or for international partners? On Tuesday afternoon, European Space Agency Director General Jan Woerner leads a panel discussion with space agency chiefs from around the world, including Canada, the first nation to formally sign on as a partner in lunar Gateway, the space station NASA intends to build in cislunar orbit — or at least that was the plan before “reach[ing] the moon in the next five years” became the order of the day. Another speaker well positioned to shed light on Trump administration space policy is Scott Pace, the executive secretary of the National Space Council over which Pence presides. Pace is the featured speaker at Tuesday’s Government Affairs breakfast, the same early-bird forum U.S. Rep. Mike Rogers (R-Ala.) used in 2017 to call for a Space Corps. 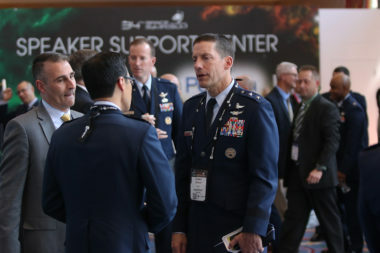 In the two years since Rogers put forward the Space Corps proposal, the White House has taken up the mantle by calling on Congress to establish a separate Space Force within the Air Force while reestablishing U.S. Space Command as a unified combatant command. U.S. President Donald Trump’s nominee to lead Space Command, Air Force Gen. John “Jay” Raymond, is speaking Tuesday, as is acting Defense Secretary Patrick Shanahan, who is expected to press the case for Space Force. Shanahan then heads back to Washington shortly to prepare for a Space Force hearing the Senate Armed Services Committee is holding Thursday. In her final Space Symposium appearance as Air Force secretary, Heather Wilson is expected to highlight the Air Force’s efforts to make the U.S. “the best in the world at space.” Wilson, who’s stepping down in May to become president of the University of Texas at El Paso, is departing Wednesday to testify at the Space Force hearing. 7:30 to 9 p.m. | Grand Opening of the Lockheed Martin Exhibit Center. Visit SpaceNews at Booth 730 to get a print and digital subscription to SpaceNews for just $89. That’s 75% off the regular price. 11:15 to 12:10 p.m. | NASA iTech the Latest Wave of Entrepreneurs featuring the deputy administrator of NASA’s Science Mission Directorate and the founders of Analytical Space, Lazurus 3D and Milo, Inc.